Again all credit goes to Arthur Cotterell for providing the basis for these notes in his book A History of Southeast Asia. The notes here are largely my summary of his ideas and research. If I could summarise what I've learnt in one line, it's this: Buddhism (and the mixing of it with Hinduism and spirit worship), the Indians, the Mongolians and to a lesser extent, Sri Lanka, have all contributed significantly to shaping the course of history in Ancient Burma. The downfall of Pagan, a mighty Burmese empire, is also a key highlight. I find it hard to believe that the last King of Pagan caused his whole kingdom to fall merely because he took offence to certain Mongolian ambassadors failing to take off their shoes while in his presence. The last King had these ambassadors executed despite his ministers advising him that this was a VERY BAD idea. It is not possible to discuss the roots of Ancient Burma without discussing India and Buddhism. Around the 260s BC King Asoka (Ashoka) sought to expand his Mauryan empire via peacefulness rather than warfare. Buddhism became a pan-Asia religion 2.5 centuries after Buddha's death thanks to Asoka. Asoka's son apparently even went to Sri Lanka as a missionary to spread the religion. The Theravada version of Buddhism appears to have been started in Sri Lanka. Buddhism was split into many schools. Two famous ones were Mahayana and Hinayana. Brahmin-influenced Mahayana saw itself as superior to Hinayana. Mahayana buddhists were allegedly prepared to postpone buddhahood to lead others to enlightenment, whereas the latter allegedly 'only sought personal salvation in the seclusion of a cloister'. The Therevada branch of Buddhism, apparently a branch of Hinayana, believes there is no intermediate stage between death and rebirth. The Mahayana branch believes that various punishments await people after death. Therevada Buddhism focuses mostly on karma: the good and bad things done in a person's previous life which allegedly determine a person's next existence. Burma eventually received the Theravada version of Buddhism. Stupas flood the landscape of present-day Burma. Although stupas are a key symbol of Buddhism, they originally came from memorial tombs of Magadha, one of the kingdoms of Ancient India. Apparently there is a distinction between a stupa and pagoda but the distinction appears to be blurred given the overlap in the purpose for their use. 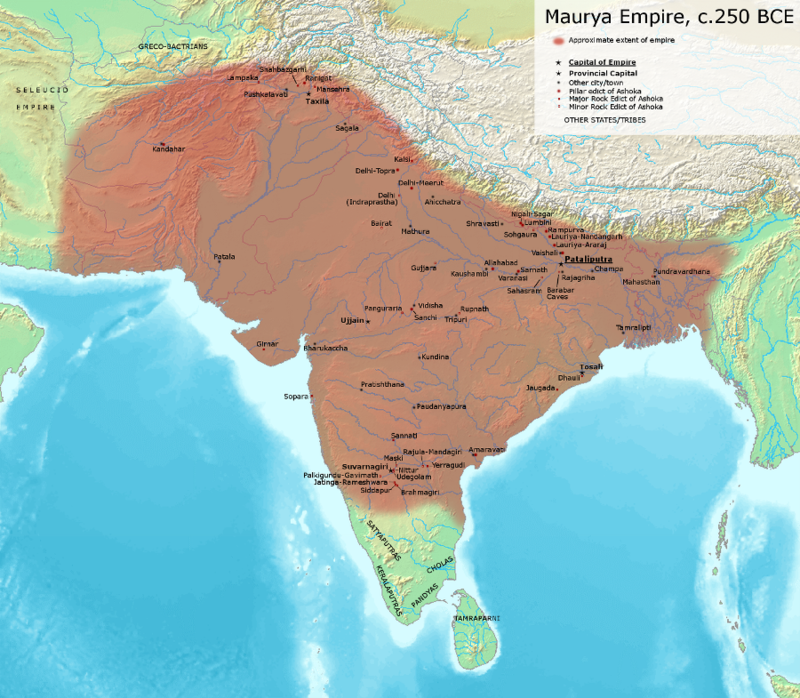 From circa 300AD to roughly 550, the Gupta dynasty ruled in Northern India. In this period Hinduism experienced a resurgence. Apparently a system of hereditary classes also followed. Buddhism rejected such social divisions on the basis that a person's position is not based on birth or descent but by conduct and character. It is unclear how far the Indian caste system transferred to Burma. Hindu deities appear to have always been incorporated into the framework of Buddhist belief, in the same way nats (indigenous spirits associated with waterfalls, rocks, trees, fields etc) were incorporated into the system. In the 2nd century the Pyus came into contact with Indian culture via East India and Sri Lanka. The religion then became a fusion between Buddhism, Hinduism, animism and the urn burial tradition. 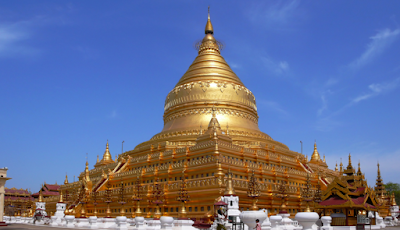 Many Burmese Kings grappled with the dilemma of either being a ruling monarch or being a sage seeking buddhahood. King Anawrahta (King A) of Pagan, probably Burma's most famous king, was converted to Theravada Buddhism by a monk from Thaton of the Mon Kingdom (Lower Burma). King A was keen to spread this religion in his kingdom and asked the monk for scriptures. The invasion of Sri Lanka by the Hindu Chola dynasty of South India apparently made it difficult for Burma to obtain Theravada scriptures. The Hindu Cholas sacked neighbouring kingdoms and even raided as far as Indonesia. (They even attached Srivijaya in 1017, 1025 and the 1070s). King A realised that his people would not accept Buddhism so readily when nat worship (Burmese spirit worship) was so engrained in their culture. "People will not come for the sake of the new faith. Let them come for their old deities and gradually they will be converted." When King Kyanzittha (King K) came into power at Pagan, Theravada Buddhist ideas were so established that the intermixing of Hindu and Mahayana ideas was permissible. King K is famous for building the Ananda temple. According to The Glass Palace Chronicle ('Hmannan Maha Yazawindawgyi'), a book compiled by Burmese royal command in 1829 by the Konbaung dynasty, the earliest Burmese kingdom was founded by an Indian prince called Abhiraja (Abhiyaza) in about 850BC. It was called Tagaung. According to the Chronicle, when King Abhiraja died, his sons held a building contest on one night. The person to finish building first would be the next ruler. The younger son won because he and his followers built an almshouse using bamboo and thatch, which was faster to assemble than the elder son's choice of brick and wood. The Pyus, a group of Burman tribes, eventually pushed the last King of Tagaung south. 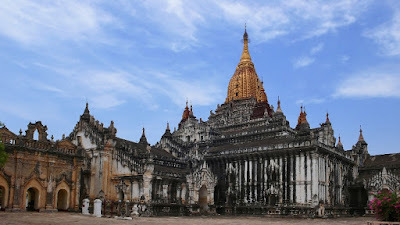 The Pyus pushed downwards along the Irrawaddy/Ayeyarwady River and eventually founded Sriksetra in circa 480BC (the largest known Pyu settlement, near modern Prome/Pyay in the Bago Region of Burma). Sriksetra was a huge city. According to Chinese scouts, the city walls enclosed 30 square kilometres. Sriksetra's economy depended on irrigation (as did Pagan, see below). The end of Sriksetra is a mystery. One theory is that it was invaded by Nanzhou (a belligerent state in modern day Chinese province Yunnan) in 832. Another theory states that its demise had something to do with Sriksetra ceasing to be the Pyu capital in 656. Yet another theory states that it was destroyed during the reign of King Anawrahta who was alive in the 11th Century. Pyu's cultural influence in Pagan is considered by many to be undeniable. 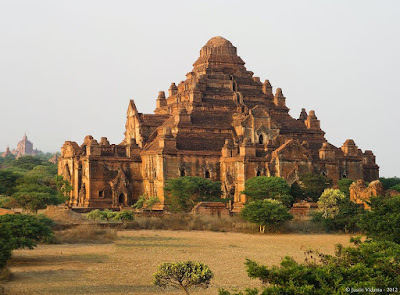 The Mon Kingdom appears to have been a kingdom in southern Burma, near central Thailand. Its capital was Pegu (Bago). The Thaton Kingdom existed pre 11th century until it was invaded by Pagan. When Pagan collapsed, the Mon Kingdom was reborn as the Hanthawaddy Kingdom in circa 1287. Pegu was home to Indians and Mons when King Anawrahta, founder of Pagan, ruled. Pagan sat in one of Burma's key irrigated systems. Pagan was famous for its excessive religious building (stupas, temples and monasteries - 3000+ are still there today) and extensive irrigation. King Anawrahta (King A), founder of the Pagan empire, apparently had a dream from the king of nats, who asked him to build wells, ponds, canals, ditches, monasteries, pagodas etc. Shan farmers relied upon a sophisticated method of water control along with a special type of rice that could withstand dry climate or land with limited flooding. In the 11th century, Pagan had enough agricultural supplies for it to control Lower Burma - this conquest led to a greater cultural exchange with India and Sri Lanka. Pagan's economy over-relied on the endowment of Buddhist temples and agricultural estates on other Buddhist monks - this was tax-exempt and did not bring money to the royal exchequer. The Shwezigon, one of the earliest and largest stupas, may have been the work of both King Anawrahta and future king Kyanzittha (who, on one account, was allegedly born due to an affair between one of King A's envoy's and a princess). Kyanzittha (K) was an interesting character. Despite being mistreated by King A and his son Sawlu, K nonetheless attempted to rescue Sawlu after Sawlu had been captured by the Mons. K snuck into the Mon camp and took Sawlu. Given how his father and himself has mistreated of K, Sawlu thought this 'noble deed' was too good to be true and suspected K would do something bad to him. So Sawlu cried out while they were still in camp. K left Sawlu behind, fled and said "Then die, you fool, at the hands of the Mon." Despite Sawlu's ungratefulness, when K later became king, he announced that the throne should return to King A's line and gave his daughter to Sawlu's son - when K's grandson was born through this marriage, K declared that he was a mere servant and caretaker for his grandson, anointing his grandson King. On this account, K appears to have been an altruistic and loyal character. Alaungsithu then ruled after King K.
When Alaungsithu was old, he was smothered by his son Narathu. It is implied that Narathu had a hand in his older brother's death as well. Narathu's tutor, Panthagu, called Narathu accursed and left for Sri Lanka. It is traditionally believed that Narathu raised Dhammayan, Pagan's largest temple, to atone for his guilt. Narathu was eventually killed by assassins disguised as brahmins sent by a king he had angered. Similarly, King Narapatisithu put to death a tutor without realising how wise the tutor had been. Narapatisithu attempted to atone for his guilt by going on a construction frenzy. Pagan declined throughout the 13th century. Religious buildings occupied 60% of land, reducing tax revenue available to Pagan Kings as well as the manpower available to them (as mentioned above, the construction of religious buildings was tax-exempt). Burma's last ruler, Narathihapate, quite ridiculously ordered the deaths of Mongol Ambassadors sent by Kublai Khan (grandson of Genghis Khan) on the basis that these ambassadors did not take off their shoes often enough. His ministers strongly advised against this course of action. Suffice to say this must have outraged Kubilai Khan. Narathihapate turned the Mongols into an unnecessary enemy, causing Kubilai Khan to invade Burma. Marco Polo provides a detailed, but perhaps exaggerated, account of this invasion. Narathihapate assembled 2000 large elephants to block the Mongols, each elephant carrying 12-16 soldiers. The elephants psychologically scared the Mongol horses. The Mongol general Khudu (Qutuq) changed his tactics immediately. He tied his horses to trees, and advanced his 12,000 men on foot. He ordered his men to fire arrows at the elephants. However, it did take two campaigns for the Mongols to win. In 1287, King Narathihapate fled the city. Marco Polo claims that Kubilai Khan expressly ordered that no religious buildings be burnt because Kubilai appreciated the fact that previous kings had built them to benefit souls. Polo claimed that the Mongols never touched the property of the dead but he was very wrong about this - while Genghis Khan respected other people's deities, he had no problem with looting tombs. Kubilai Khan also allowed the pillaging of Chinese imperial tombs to pay for expensive foreign wars. The Mongols' conquest of Nanzhou freed Thai chieftains, causing the Shan people to overrun Upper Burma and the Thai to press Angkor hard. The damage to stupas that can be seen in present-day Pagan is suspected to have been caused by the Shan tribesman or other soldiers.